The GOP tax bill opens the Arctic to energy development, setting the stage for divisive battles to come. Indian Country News is a weekly note from High Country News, as we continue to broaden our coverage of tribal affairs across the West. For almost half a century now, Congress has fought over allowing drilling in the Arctic National Wildlife Refuge in Alaska. The refuge, the largest in the country, is extremely biologically productive, and conservationists have successfully, even handily, fended off attempts for mineral exploration there for 40 years. However, beneath that land also lie billions of barrels of oil. Congress has tussled over whether to open the vast icy landscape that spills into the Arctic Ocean for oil drilling largely due to the protest of Democrats. But it was the Exxon Valdez oil spill that halted Congress’s closest attempt in 1989. But now, after a provision allowing drilling in ANWR was included in a tax bill signed by President Donald Trump this month, it appears that decades-long battle is over. The move is part of the Trump administration’s broader effort to shift the country’s environmental focus from protection to capitalizing on the U.S.’s natural resources. 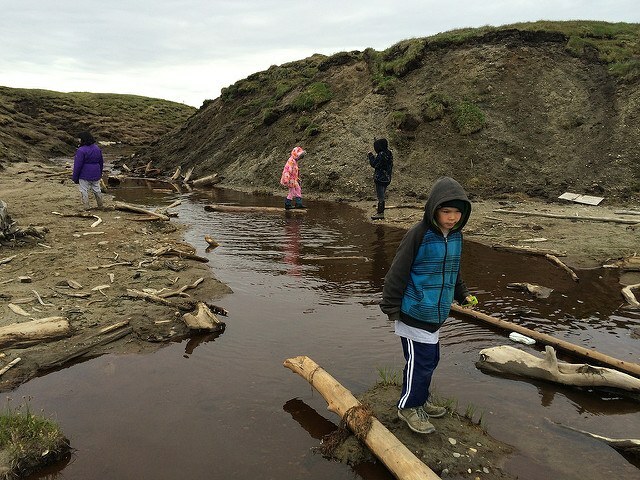 Children in the Inupiat community of Kaktovik attend marine science camp. The possibility of drilling in ANWR has also placed two Alaskan tribes on opposing sides. “The Inupiat live across the North Slope, including within the part of the ANWR that would soon be opened for drilling,” The Atlantic’s Robinson Meyer writes. “Oil exploration already brings jobs and funds infrastructure in their communities,” and if oil is discovered, it would bring profit for the tribe’s roughly 13,000 members. The drilling provision was the work of Sen. Lisa Murkowski, the first member of Congress to represent Alaska who was both born there and a woman. Murkowski has been gaining influence since becoming chair of the Senate Committee on Energy and Natural Resources in 2014. Growing up across the state, Murkowski saw energy exploration revitalize dying towns, and as a senator she has worked on tribal affairs. She also won an unlikely 2010 comeback campaign with the help of $1 million donation from Alaska Native Corporations. Much like the tax bill she contributed to, Murkowski’s relationship with tribes is complex, and it remains to be seen what it means for those communities. As the Trump administration continues to focus on the U.S. “energy dominance,” Murkowski’s help in opening ANWR won’t likely be forgotten by the current administration and could increase her influence in policy battles ahead. Note: This story has been updated to correct a geography error. ANWR touches the Arctic Ocean, not the Atlantic.